The art and science of branding can be likened to sound, well-managed farming practices, no matter what the country or language. You look for good soil (the market) to plant your brand idea, diligently attend to the task of cultivating an image and value, constantly monitor growing conditions and market forces, adjust and corrections as necessary, and finally begin reaping rewards as your brand takes root in the market. Always initiate the branding process from the ground up. Think as you would in a zero-based budgeting exercise. First, you develop an intuitive, clear and far-sighted view of how you want to define and shape your brand values, attributes, rational drivers and emotional appeals. Then you determine the level of investment needed to prudently and effectively nurture brand perceptions in a way that will realize the best return and value for your marketing expenditures. You usually start branding with a seedling that has some inherent qualities genetically engineered into it, or one that is already growing and needs to be pruned, fertilized and given more light and sustenance. Proper brand maintenance using a smart “drip marketing” system (sustained, underlying promotional investments) delivers a higher-grade customer and a more bountiful business harvest in good times and bad. Good branding starts below the ground, and requires a strong root structure inside the organization to flourish and thrive. An enduring, drought-resistant brand has as much to do with the character and commitment of the company – most notably its people, products, processes and personality — as it does with the external promotional expenditure and effort to stylize the name in the market. More today than ever before, branding can be compromised if there is not a well-defined brand culture and organizational mindset that embraces and radiates the brand essence. There has to be a very strong focus on branding from the inside out in every organization. Every company touch point has to continuously reinforce a singular and particular brand experience. Brand promises made by marketing, but not supported and reinforced organically by the organizational ecosystem, will always fail. One of the very best examples of making and keeping brand promises is the decades-old campaign by Avis. We Try Harder. This evergreen positioning never seems to lose its brilliance and resonance from service counter to roadside assistance. On the other hand, the US Postal Service is an organization that has done a great job of external imaging without being able to live up to the brand promise. They have the cycling team, the great-looking planes, slick trucks, new and clever stamps…but the service experience isn’t very satisfying. Most people are more comfortable shipping critical packages with UPS or FedEx. The Postal Service has done a good job of remodelling the brand, but their inherent problem is their infrastructure. You can create a beautiful new look but if the service does not live up to the promise you have a problem. Today, companies have many more points of brand contact or compromise, from e-mail, web sites and call centers to supply chains, retail channels and sales representatives. There needs to be a consistent visual identity, common set of underlying messages, and uniform code of service and business conduct at every customer touch point. Brands, such as Land’s End, Nordstrom’s, Walmart, Ritz-Carlton, Charles Schwab, JetBlue, and Southwest Airlines, evidence this daily. Customer standards are more demanding than ever before with greater expectations for immediate resolution of issues or instant attention to needs. A brand must not only capture and convey an image but deliver on a repeatable, satisfying experience. High-performance brands translate well worldwide and nurture every facet of the customer experience to optimize word-of-mouth and referral, as a way of rapidly and virally transmitting brand influence and appeal. America has exported and retained the integrity of many of its power brands. Companies such as Disney, McDonalds, Burger King, Kentucky Fried Chicken, Pepsi-Cola, Nike, IBM, Ford, Starbucks, and others have remained true to their mission and mantra no matter where or how they have expanded their business operations worldwide. Start-ups, however, are often challenged to intrude. We saw many new ventures in dot.com zoom times that were not so much brands as widely advertised names on billboards, buses, coffee cups, premiums, inflatables, and every other odd and invasive advertising medium imaginable. There was name proliferation and visibility, but little idea of what that brand evidenced or symbolized. There was no sense of meaning, relevance or permanence to these branding campaigns, much the same as the business models they tried to capture and convey, despite an enormous expenditure of marketing funds. If there are fundamental problems in your business model or flaws in your ability to go to market and to operate and function as a business, your brand is at risk and vulnerable to compromise. Strong, robust brands like Andersen, Enron, WorldCom and Tyco have all succumbed to sickness and disease, much of which started in their leadership ranks. We have found out in tough economic times that operational and financial issues can often compromise even the most established brands. Technology companies, in particular, have seen credibility, confidence and trust diminish along with their astounding market values as accounting malpractices, restructurings, layoffs, consolidations, and mergers transformed the business landscape. Poor leadership can damage a brand just as easily as short-sighted approach to husbanding the brand during crises, issues or incidents. Companies like DuPont, Exxon, Johnson & Johnson, International Paper, Microsoft, and others have withstood serious scrutiny and questioning in times of controversy, crisis, provocation and alienation by critical constituencies. All have managed these problems well, always with an eye to perpetuating brand equity and value among key stakeholder groups. They were quick to activate crisis containment programs and, in many cases, used savvy reputation management techniques to ensure proper positioning and play in media stories. Sound, well-cultivated brands have tremendous resilience. You can look at the brands that are alive and well today that date back generations. They have retained relevance by evolving with tastes, times, and tempos. Look at Harley-Davidson, Jeep, Black & Decker, Stanley, Coleman, Rolex, Nikon, Sony, Jell-O, Barbie, Post Cereals, Levi’s, Coca-Cola, Tabasco, and many more. Brands are in a constant state of evolution. They morph and evolve over time. They have to be refreshed and rejuvenated, and sometimes remade with an eye to perpetuating the myth in more contemporary mold. Both the Volkswagen Beetle and Austin Mini Cooper have achieved this with the rebirth of new models and retro designs. A singular brand may be strong enough to proliferate into sub-brands, or be multiplied as an ingredient brand in other products. For example, Hershey’s, a great chocolate brand, is now added to cookies, cake mix and ice cream, adding quality and perceived value to other fine products. Gortex, Intel and Dolby, on the other, have become desired ingredient labels that make a strong statement about the caliber and authenticity of products they enhance. If you want to build a successful brand, there are several key rules to keep in mind. First, you must have a fundamental understanding of what you can deliver. Your infrastructure must be in place before you go out and spend time, money, and effort on a branding program. This includes a clearly understood business model, a well-defined product offering and market position, a strong after-market service and support system, and a smart distribution and channel strategy. Dell Computer, which originally entered the market as PCs Unlimited in the early eighties, did this pretty well. They grew to be a $30 billion-plus colossus, Dell’s unique made-to-order value proposition and direct-to-the-customer relationship approach augmented a strong line-up of products that competed directly with IBM and Compaq (now HP) in the PC sector. Before Dell even started serious branding, it used cost-effective public relations (through my company) to establish a combative, larger-than-life identity in the market using its founder and CEO, Michael Dell, as an articulate industry spokesperson. Through effective execution, it then went out and proved the compelling nature of its mail-order operations, back-end systems infrastructure, and advanced supply chain management techniques. Serious, advertising driven branding only started after the company changed its name and evidenced strong word-of-mouth and customer loyalty as PCs Unlimited. Similarly, Netflix and Hulu have done an absolute end-run around its major cable competitors, bringing a more efficient, affordable and attractive line-up of original programs and digital interactive services to households around the world. Again, Netflix and Hulu built a bulletproof infrastructure, compelling service offering and a dynamic customer acquisition and support system prior to big investments in branding. Second, you must very clearly define your target audiences and communicate the value proposition in the most intrusive memorable way using the most efficient channels of delivery, interaction, and reinforcement. You must crystallize what the brand stands for and embodies and validate that brand promise through every organizational touch point and extremity. Brands like Amazon.com, E*TRADE, Yahoo!, Sketchers, Vans, Puma, Timberland, Swiss Army, Intuit, Home Depot, The Gap, Abercrombie, Samsung, Kia, Isuzu, and others, took a fresh, non-traditional approaches to talking to the market— ranging from off-beat advertising and novel direct response programs to viral marketing and grassroots event sponsorship. Third, you must continually evaluate what you are doing. This includes tracking, monitoring, and modification – fine-tuning the brand experience in real-time. Why is it that the CEO of JetBlue flies his airline every week as a passenger, seeking input and advice from fellow travellers along the way. He remains committed to sustaining the brand experience and gaining first-hand insights into what can be modified or improved at every point of passenger contact. Finally, extending the value of your brand. This includes how you modify the brand and put more equity in the brand, doing brand partnerships, joint promotions, cooperative ventures, and strategic alliances. In general controlling and furthering brand equity. People today look at how you build the value of a brand. It becomes part of your intellectual property and your balance sheet. 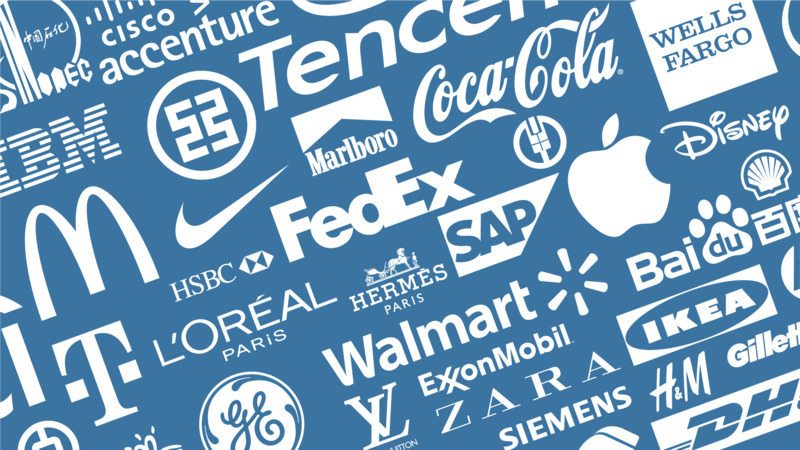 Companies with very strong brands have higher multiples and valuations. They command a premium when trading, selling, or merging with another company. Brands need to be less focused on competitive face-offs and more focused on defining a space that has yet to be occupied. The best way to brand your space is to own a concept or category and become an authority leader. To become a trustworthy brand, you need to do more than trumpet the features and functions of their products. You need to look at areas where there is an unmet need, where there are issues and pain points customers are encountering on a day-to-day basis. You must then have the ability to translate the technology into a specific value proposition or solution for a customer and communicate how this will address their problems or requirements. Leading companies have to advocate a point of view and advocacy agenda that will help move their product and establish corporate credibility in their marketplace. This is not based on selling a particular product but identifying the issues and recommending ways to solve specific business problems. It’s a different mindset that allows you to market from a position of authority instead of self-interest. Wrong Charter. Marketing is seen as having only a promotional charter—limited mainly to branding and catchy names, ads and slogans. It is popularly viewed as just communications, collateral and logo design, but not as a function that should be driving and shaping every facet of a company’s business and operations. Marketing tends to look just to the customer, not to the inside organization and the products and processes that let it function effectively. Wrong Focus. Marketing often is too outward facing when it should really be internally focused before being driven by the external branding requirements. One thing, of course, is the external appearance of marketing and another is the ideas of how you should market—how you should deliver that product and that experience. Too many marketers are consumed by the fun stuff. The key components deal with systems, distribution channels, pricing, competitive analysis, and market intelligence, the things that are much more detailed and structured. There are very few marketing organizations that are sophisticated in this sense. Most don’t know how to manage and track marketing expenditures, align marketing programs with business priorities, or execute against specific deliverables and milestones. They can’t tell you if real, monetized business value is delivered by marketing. They have very few systems, if any, for productivity management and value and performance indication. Just as in agriculture, technology has had a tremendous impact on marketing. For example, technology advances have spawned new techniques for direct-response marketing. First, marketers now have the ability to accumulate vast amounts of personal information from a variety of sources, building one-on-one relationships with customers based on a more intimate insight into buying processes. Second, there are more effective research interventions. And third, there are fundamental changes in the way people communicate through digital online channels and point-to-multipoint connections. Marketers must be knowledgeable where and how to apply new technologies. They have to be intimately aware of how people choose products and employ new types of research that uses computer-based text analysis to identify deep motivators, drivers and beliefs. Today, you have to have instant and immediate engagements with customers when they are having a problem or disconnect so you can get their opinion when they are not satisfied or when they might be very satisfied. Clearly, the ability to manage that is related to the willingness to embrace marketing resource management technology effectively. How can one capture the appropriate business intelligence and utilize it in your products and services? You look at the many places you can capture customer or business information from online news sites, chat rooms, news groups, media articles, and customer support centers. You have to be set up to respond instantly when someone sends you an email. How do you improve your call center so you can process and handle inquiries in seconds and resolve issues in minutes rather than hours? How can you use that point of interaction to introduce or sell that customer something they hadn’t thought of? Customers or prospects may be calling with a problem. How do you turn that problem into an opportunity? These questions truly weren’t an issue in the past because the ability to instantly process mass customer intelligence wasn’t there. Companies must adapt and restructure. Organizations should build into their web sites everything from interactive, self-help services to voice, data and video. We are very much a video/digitally driven age. There are several new generations of customers who are thick-skinned and driven by multimedia and want to enjoy a more multimedia experience. In the future, marketing will continue to be increasingly digitally driven. Marketers will integrate collaboration and enabling systems, intelligence-gathering processes, content-delivery systems, and digital channels of access and interaction. For example, there are companies that are very distributed organizations whose support comes from the Philippines or India or Pakistan. They are hyper-global organizations. Through the use of technology and with the combination of internal organizational transformations we will see a redefinition of what marketing really encompasses. Marketing will be closer to a partnership between the company and prospect/customer. Additionally, there will continue to be a tighter integration between sales and support organizations. Current ‘polarization’ within companies will be ‘mashed up,’ and companies will rethink how marketing works. Those are the basis and benefits of a highly centralized structure versus being decentralized. You have challenges on both sides; one may be expensive, the other may be inefficient. There is always continuous change in the market, often driven by technology and innovation. Traditional markets have been reshaped and redefined. Think how financial services has been remade by the Internet through online trading, electronic banking, electronic payments, and virtual loan processing. What you see is the evolution of markets. There has been a reconfiguration of the consumer landscape based on a variety of experiences that have become more affordable or available, and more satisfying. This ranges from travel and outdoor adventure to self-help and personal development. There are two sides to a brand. There is the rational, practical reason for buying a product: based on usefulness, problem solving, and benefit. Then there is the emotional connection to the brand, which says, “I have a particular affinity to this particular brand because it is fun, engaging, and personally satisfying.” Customers look for things that will make them feel and look good. Customers can be very loyal, but are often fickle. Some may be turned off by a brand that becomes too successful. When you look at your customer you need to look at all the different slices of customers you are talking to. You have to look at the psychographic, demographic, and cultural interpretations and views of your brand. The secret is slicing and dicing your market. There are some messages that have to be directed at certain constituencies. E*Trade, for example, may have an appeal to a young, upstart investor – they may like the ‘in-your-face’, pugnacious personality that it presents in its advertising — but that might not sell well to other types of investors. If you look at successful packaged-goods companies, they deliberate over every little branding detail and modification that they make (e.g. label, container, package, etc.). People become conditioned in their expectations. You go to Starbucks or McDonalds and you expect a certain type of predictable experience that has to do with the look and feel, the size, shape, color, and taste of everything that associates with that brand. Meeting that expectation is critical for mass consumer markets. At the same time, brands have to be adapted. For example, if you take Kentucky Fried Chicken, and look at what they have done in India, they have created a very different Indian menu because the Indian population is heavily vegetarian and needs a spicier dish. The American menu is very bland compared to the KFC menu in India. In addition, the concept of fast food in France may be offensive because culturally they don’t want to be swamped by American fast-food items that are meant to be eaten on the go rather than consumed in a sedate and extended way. In years gone by, traditional outbound marketing was heavily influenced by advertising spend. Today that isn’t necessarily the case. Now there are different approaches to marketing; it is not just paid media. Today it is scientifically based, innovative, and virally driven. Public relations have become one of the most powerful and persuasive forms of influence. Media channels, especially social media, have multiplied in the online, broadcast, cable and satellite challenging companies to embrace a cost-effective PR function more effectively. Word of mouth has become an extremely strong factor influencing how products are adopted. Today decisions are made because people have access to information. They will not just rely on what that company tells them. They will be able to do their own due diligence on the Internet and in online communities. Many times, people have been moved and shaped by advertising. However, markets aren’t made on the basis of a catchy campaign, but on serious products. People today are much more informed, and they are less likely to consume emotional messages. Everything from embedding your brand into a movie or talk show or video game to a whole variety of interactive digital channels to point-of-impulse sales and displays and prompts. There is much more sophistication involved in knowing your consumer and reaching them at the right time and in the right place. There is a proliferation beyond network television and network radio. As a marketer, you have to be much more informed and aware of emerging digital channels and human touch points. As with the science of agriculture, brand marketers must constantly strive for greater marketing yield, improved resource management, more sophisticated farming practices, and a better caliber of business crop. The Afterburner Group has been building brands for companies in the technology, energy, services, manufacturing and non-profit industries for over 25 years. If you think that your brand is suffering or could benefit from a brand assessment, validation and refresh, fill out the contact form below and we’ll let you know what that might look like and how you’d benefit.